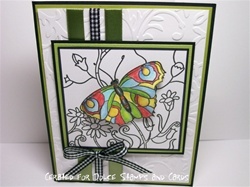 I stamped the butterfly stamp twice, cutting the second copy out after coloring it with Prisma Color Colored Pencils. 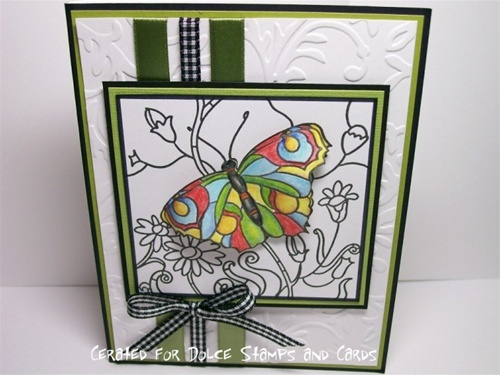 I then curled its wings a bit and mounted it over the first stamp using 3d foam squares. It really seems to be in flight over the flowers.